Islay has to deal with some problems which need funding, but to put it simply, there is no money. When, as an example, the Islay Community Council wanted to provide facilities for motorhomes on the island they couldn't do much due to a lack of funds. Another issue at the moment is funding for Rangers who do the Beach Cleaning which is at risk. 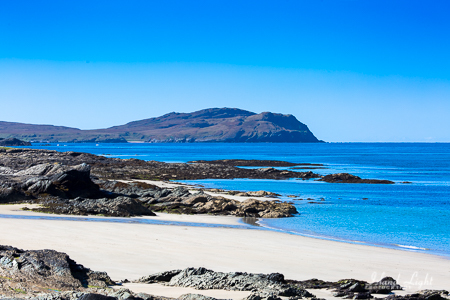 Each year many tons of plastic waste are collected on Islay's beaches, making sure that we can enjoy our beautiful beaches which are one of Islay's most important attractions. With the current financial situation of the Argyll and Bute Council there won't be coming any funds from them to deal with these and other issues. Therefore we need to find an alternative way to generate income. That's where you as a visitor come in. A few months ago I was approached by the Islay Development Initative, a registered charity and a social enterprise who are actively working on making Islay more sustainable. They have great ideas to make Islay a better place for residents and visitors and they have already started a few highly interesting projects. It also turned out that they had further developed a Visitor Gifting Scheme and were looking for help to actively support and promote this great cause online. Already in 2015 the Laphroaig Legacy fund had rewarded £15.000 for the Visitor Gifting Scheme. As Islay Info receives around 75% of the web traffic of those who visit, or plan to visit Islay, they have asked me to partner up with them and to help them promote this actively on my website. And of course I will, why shouldn't one want to support such a great idea. I think it's amazing what they do and I'm very keen to give them my time and resources, as I feel it's also my responsiblity to help and be involved in enhancing facilities for everybody. It's a win win situation! What is this Visitor Gifting Scheme? First of all a consultation has been started and there is a survey online with questions we'd like you to answer. You can find it here: https://www.surveymonkey.co.uk/r/86MR7GQ. 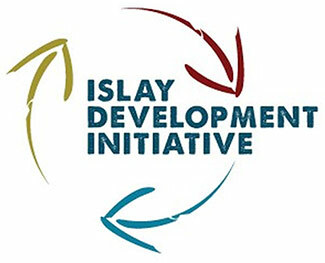 When IDI has the results of the survey and consultation the outcome will be published on their new website: www.islaydevelopment.com. That's when we hopefully know more about the practical side of things and how we are going to promote this on both their website and the Islay Info website. This also means that the Islay Info website will use some of the IDI branding to show our commitment to this great initiative. Hopefully there will be many more businesses on Islay who will participate and support this. For those who want to know more please get in touch. Thanks for your support, we really need it!